The day before yesterday, we told you about fresh released GTA Online update, entitled “I’m Not a Hipster”, and today we have to upset you with the information about the delay of another anticipated pack, which is called Heists. 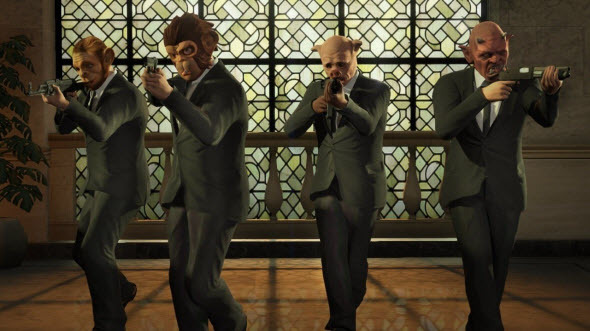 Yesterday, Rockstar’s employees apologized to the fans of Grand Theft Auto series for the delay of the update, which offers them lots of missions-heists, available in the co-op mode. In April, the developers announced that this GTA Online update, which lets the gamers try their hands in the robberies of the different offices, will be released till the end of spring, but, as we see, the latter one has already finished, and the pack hasn’t been launched. Due to this fact, the creators of this mega popular series have made a statement, according to which the release of Heists pack retards, because the developers need some more time to make and polish all update’s elements. So far, it’s unknown, when this GTA Online update will be launched, so we suggest you staying tuned for more information to be the first who will get to know the exact release date of the pack. Have you waited for this GTA Online update? Are you upset with the news? Write us in the comments below.